The Breville BSB530XL All In One™ – The blend, mash and processing station with Control Grip. 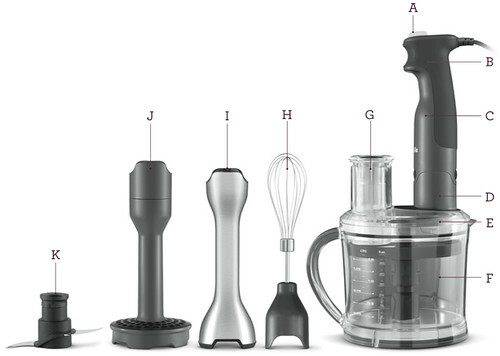 This immersion blender is a versatile appliance with a multitude of attachments and uses. 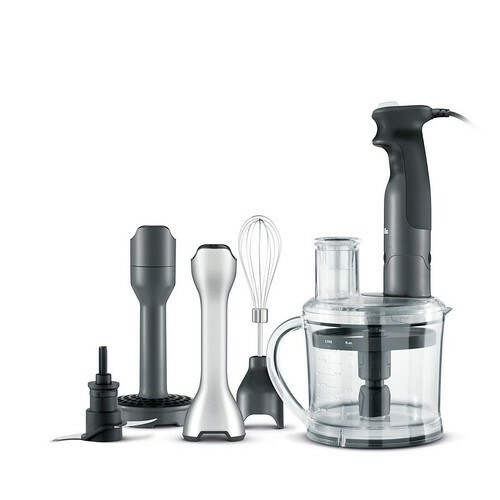 From whisking the lightest frosting to mincing up the hardest vegetables, it’s the little mixer with a big array of uses, just right for anything you might need.